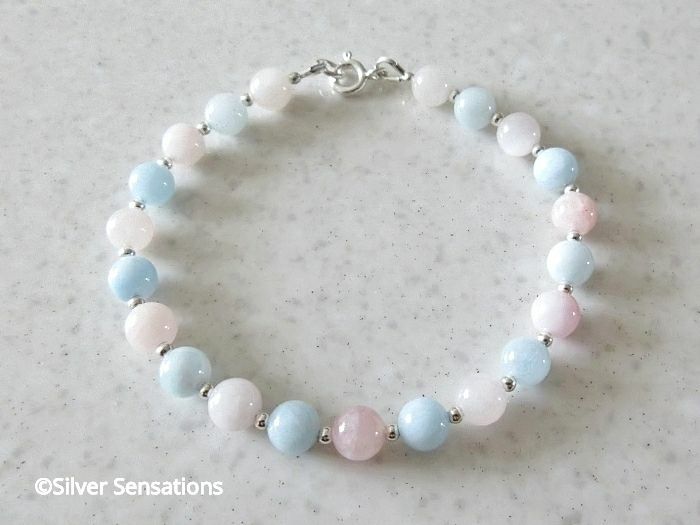 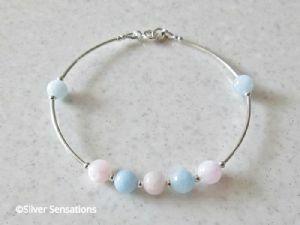 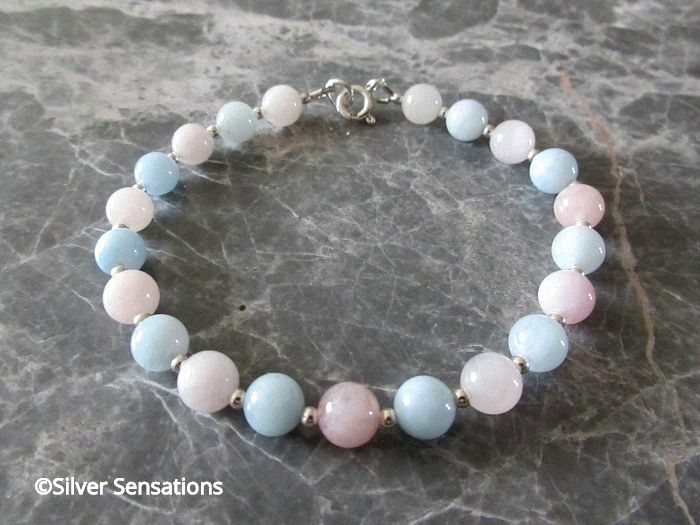 This natural pastel pink & blue Morganite beaded ladies bracelet has 6mm pastel pink & blue round beads. 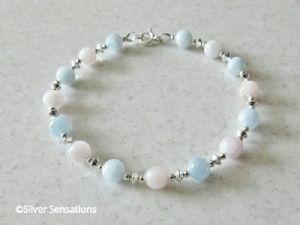 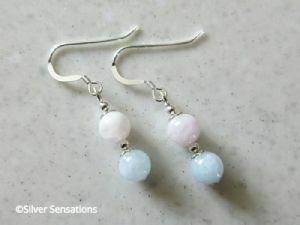 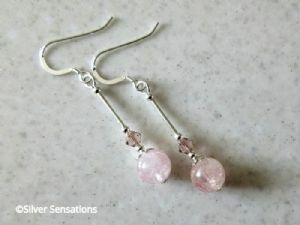 I've alternated these pink & blue semi precious gemstones & placed a small round seamless Sterling Silver bead between each one. 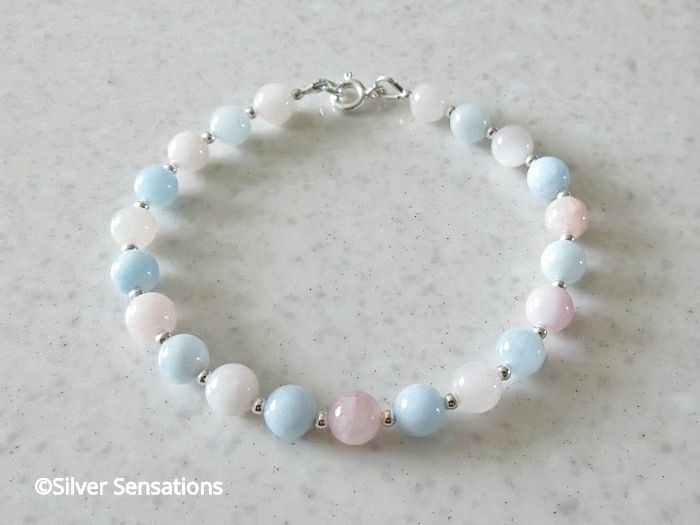 Some of these Morganite beads have wonderful patches of iridescence making them really glow. 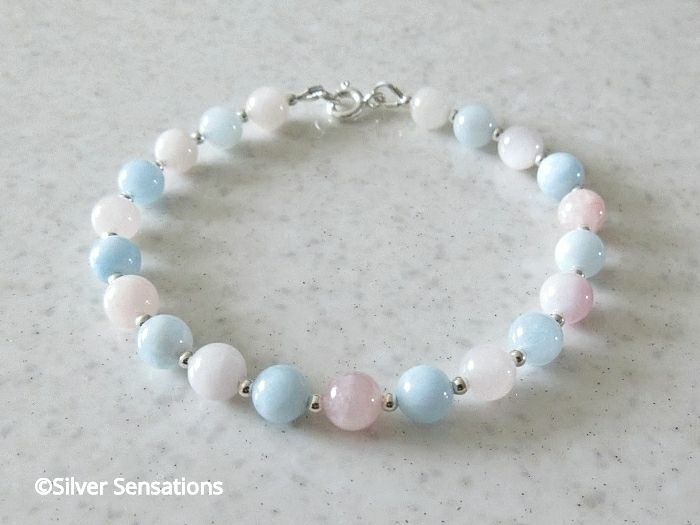 This limited edition bracelet has a wearing fit of 7" & is finished with Sterling Silver fittings and a bolt ring clasp fastener. 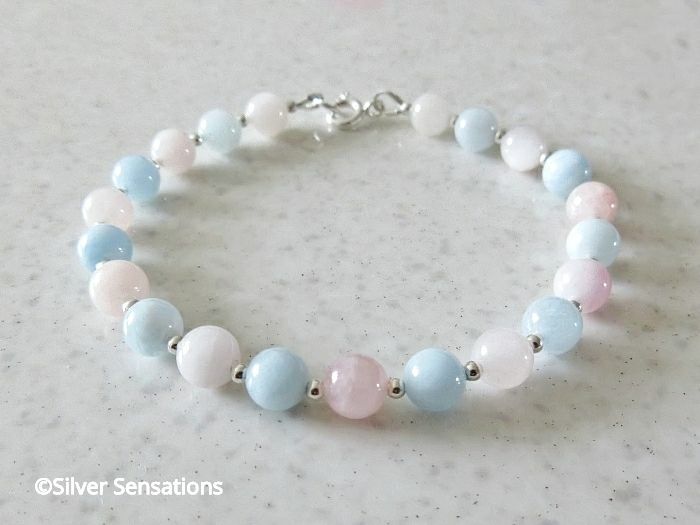 A pretty bracelet which exudes femininity & can be worn at any time. 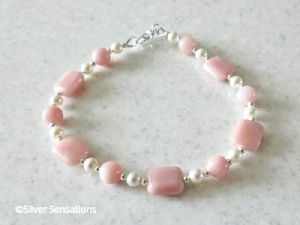 I buy all of my guaranteed genuine .925 Sterling Silver from reputable UK Silversmiths so I can be sure that I'm using only the highest quality materials for your piece of uniquely designed handmade jewellery.